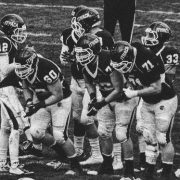 In “Player Retention,” Part 1 of our Webinar Series “Untapped Revenue,” SportsRecruits Co-Founder Matt Wheeler discussed how important player retention is to the health of a club sports organization. 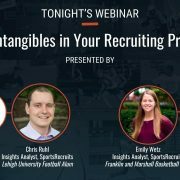 In the Webinar, Matt was joined by Los Angeles Volleyball Academy (LAVA) Recruiting Director André Lennox to discuss the idea of player churn, and how player retention strategies focused on strengthening coaching and recruiting within the club can lead to positive results and mitigate the risk churn presents. You can watch (an updated version) of the video below, and also read some of the interesting takeaways from the presentation. Click here to download the slides from this presentation. What It Means: Defined simply, player churn is the likelihood that a current player will leave your club. While this is a concept that many clubs battle, they may not realize it is an issue. As in any business, acquiring a customer is far more difficult than keeping an existing one. As such, recurring revenue makes all the difference. In the club sports space, what does this mean? Here is a simple example for one player in an organization: If club dues are $1,500, over the life of their cycle in the club from a younger player through high school, that family is worth more than $7,500 in recurring revenue! From a business perspective, roughly 15-25% of revenue occurs at acquisition. 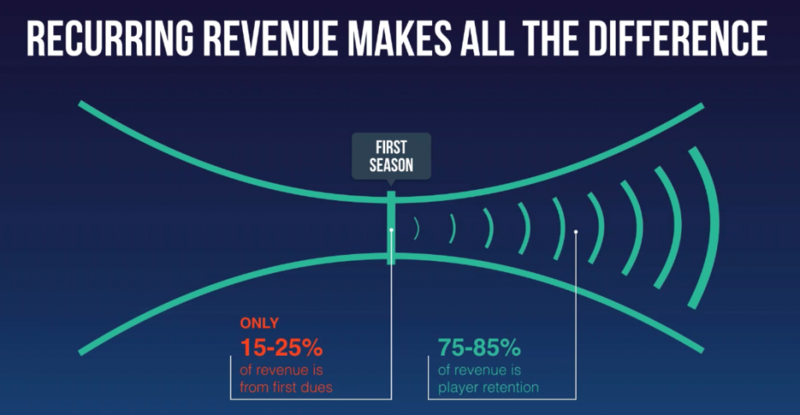 This means that roughly 75-85% of the revenue is in player retention. 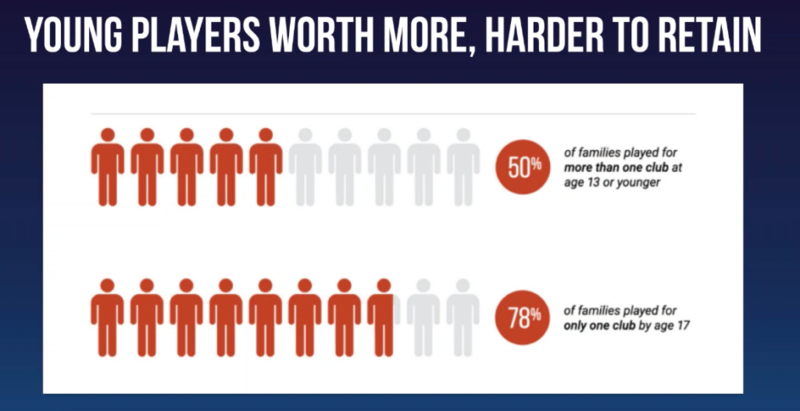 While replacing a family is easy, you can’t build upon that revenue as you could with the family you have lost. This is why only a small portion of revenue comes from the initial acquisition. 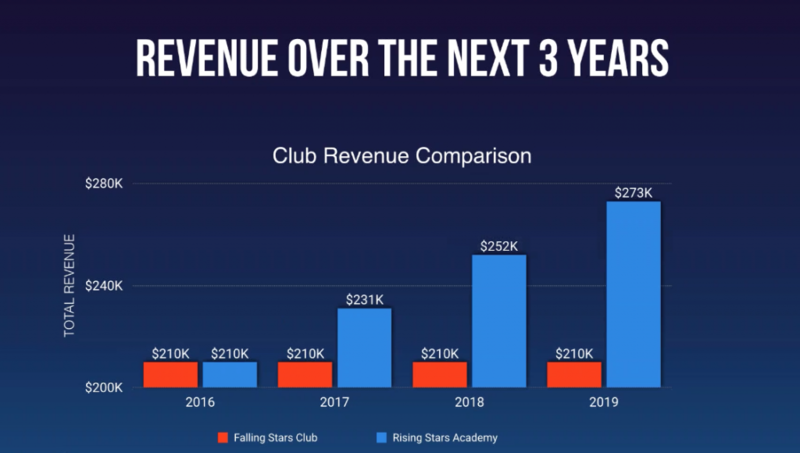 To help illustrate this point, here is an example of “Competing Clubs” – one club (Falling Stars) is experiencing slight customer churn, while the other (Rising Stars) has no losses. Since the Falling Stars club is simply replacing their lost player with another, they are not “losing” any money year over year. However, as you can see, while it may not feel like revenue is not dipping, by year three, you are 63K worse off than your competitor not losing any players. 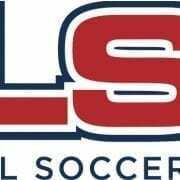 What It Means: According to a SportsRecruits Survey of Club Families, 50% of players at ages 13 or younger played for more than one club. By the age of 17, however, 78% played for only one club. Obviously, this means that players will eventually be choosing one club. The challenge, then, is retaining the players from a young age so they choose to stay with their current organization. 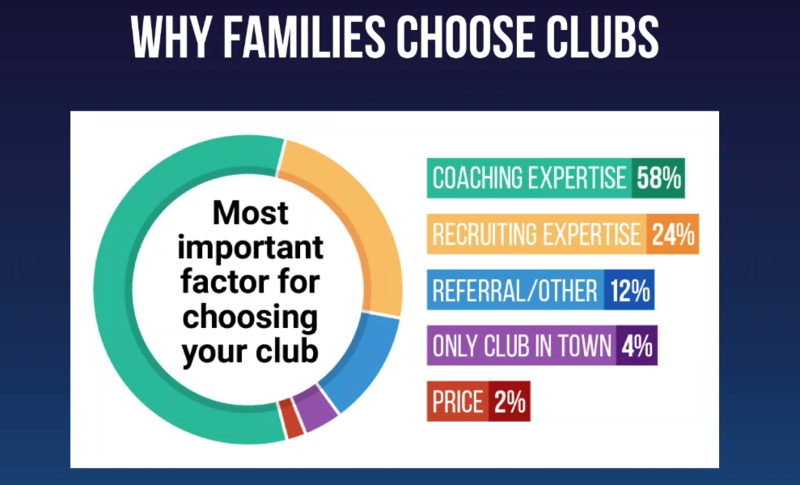 It is very obvious that club families are concerned primarily with the coaching and recruiting expertise of a club. Further, we have already established that keeping the younger players is vital to the retention of families and thus, reducing churn. 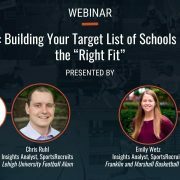 The solution, then, is to put a club-wide focus on coaching and recruiting expertise, while ensuring these priorities are clearly articulated to younger families. 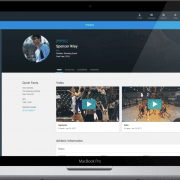 Currently, the organization has about 20 teams – roughly 230 players – on SportsRecruits. What It Means:As you can see in the slide above, it is imperative to double-down on the efforts your club puts into improving its coaches. While this is a known quantity, too often the coaching improvements or systems cannot be effectively communicated. 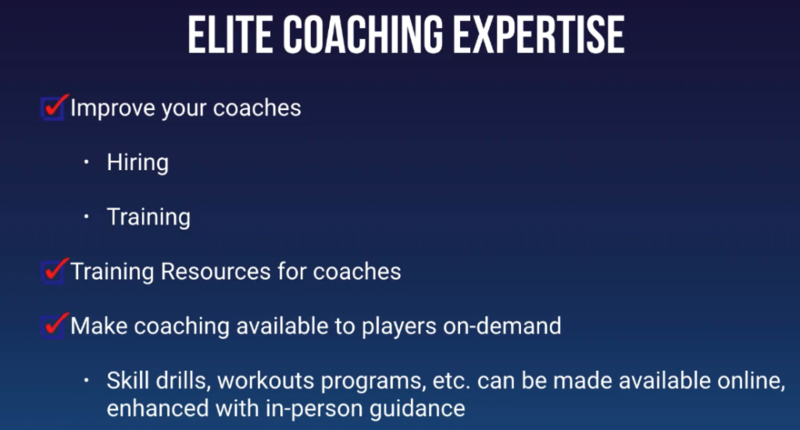 Among the tips from the webinar: Improve your coaches via making good hires and investing in their training; Putting an emphasis on this training, and providing numerous resources for coaches; make your coaching accessible to players and families on-demand via things like online resources and one-on-one meetings. 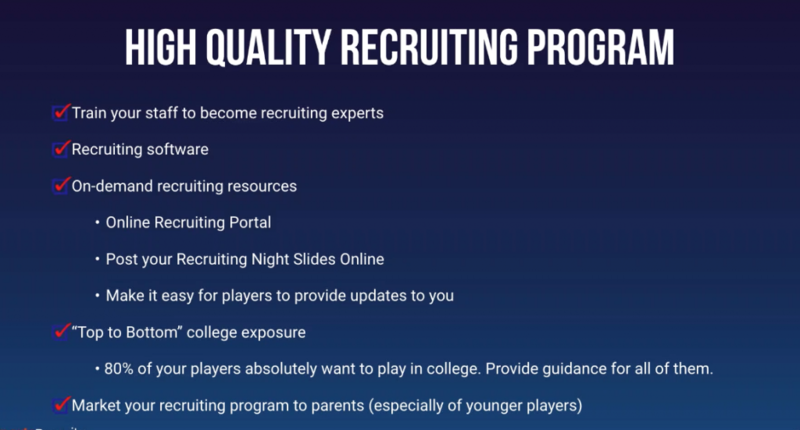 What It Means: As you can see in the slide above, it’s vital to have a system in place to handle your recruiting. 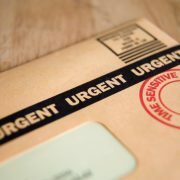 Only when that system is tangible can it be effectively communicated, especially to the younger families in your organization. 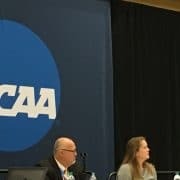 Among the tips noted include train staffers to be proficient in the recruiting process; having recruiting software; on-demand resources (making materials available online); top-to-bottom guidance (for the DI candidates to the college club candidates); market your recruiting program to younger audience.